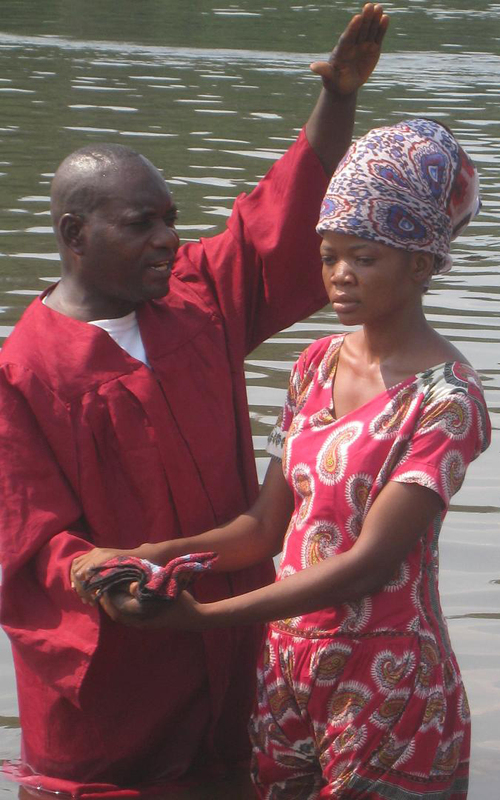 A tragic death brings about 90 baptisms for Christ. A short walk from my home lies the village of Nazombe. In spite of my repeated attempts to make friends in Nazombe, the villagers resisted my efforts to share the gospel with them. Then one day, the village chief disappeared. Rumors spread that I had killed the chief and sold his body. I realized the situation was grave and that without God’s protection the villagers could take my life. My family and I fasted and prayed for 21 days, asking God to reveal the truth of the chief’s disappearance in order that God’s name be honored. On the twenty-first day, I met a man from Nazombe on the road. He greeted me by saying, “Pastor, your God is a miracle-working God. The man described how the chief’s body had been found in the river, attached to two huge stones weighing almost as much as the chief himself. The chief’s brother was eventually convicted of the murder, and I was invited to visit Nazombe. When I arrived, the people welcomed me openly. “Tell us about your God who has saved you,” they begged. I visited each home and prayed with them, shared corn and gave clothes to those in need. Next, I held evangelistic meetings and hundreds of people came to the meetings to hear the three angels’ message. When the meetings were over, I called for the people to give their hearts to Jesus, the Way, the Truth, and the Life. More than 80 people gave their hearts to Christ and were baptized. The government of Malawi visited me to hear for themselves the story of how the chief’s death had changed the lives of the people. They recorded my testimony and broadcast it over the national radio at least three times. From that time, I have been receiving requests from a number of non-Christian village chiefs to go and teach the people about Jesus Christ. In 2001, my team and I held an evangelistic meeting for the Paramount Chief Kuntumanji after holding Bible studies with him. He was the only one that I had not visited in the area. The Chief and his guards listened to my preaching and invited me to hold the meetings at his home. He invited all of his junior chiefs to attend daily for 21 days. I introduced Jesus Christ through what happened to Abraham, who was asked by God to offer his only son as a sacrifice to God. When Abraham took his knife to cut the neck of his son, God stopped him and told him not to kill his son but rather the lamb which God provided for him. The son of Abraham represents us, and the lamb represents Jesus Christ. The Chief and his guards plus some 92 people accepted Jesus Christ through baptism. They were baptized together with their wives. Another meeting I conducted was in Lilongwe Chisapo village. Mr. Muhammad Amin, a former Muslim leader, was listening to my preaching every evening. The tenth day, Mr. Amin came out of his house and wanted to know who was preaching. He told his family to always listen to the gospel. He later came behind the pulpit and whispered to my boy, “Please give me a spiritual book.” I was told and gave him the book Allah’s Healing Ways. He read the book every day, and in the evening he attended the meetings. Later he was baptized together with his wife. He has been joining me during my meetings to give the testimony of his conversion. He is now a head deacon at his church. God is using him to bring more people to His kingdom. This is a non-Christian area where many people have not yet heard the truth. I just pray to God to win one soul for Him each day. 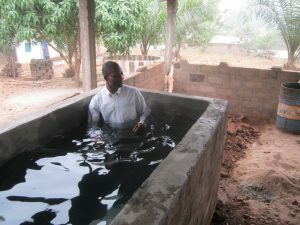 My prayers have been answered, and God has blessed our ministry with many baptisms and new churches established among the unreached people. Brother Lapani is a layman with a burden for souls. 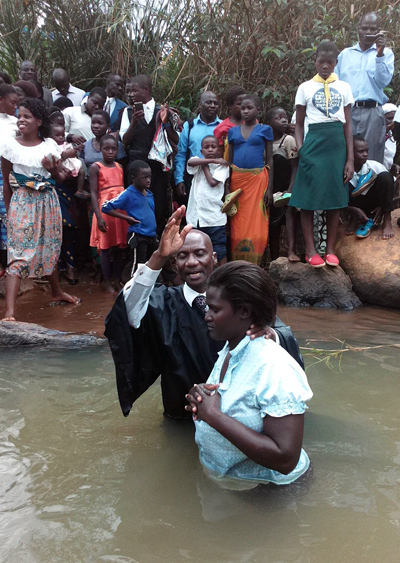 He conducts evangelistic meetings in predominately Muslim areas of Malawi. 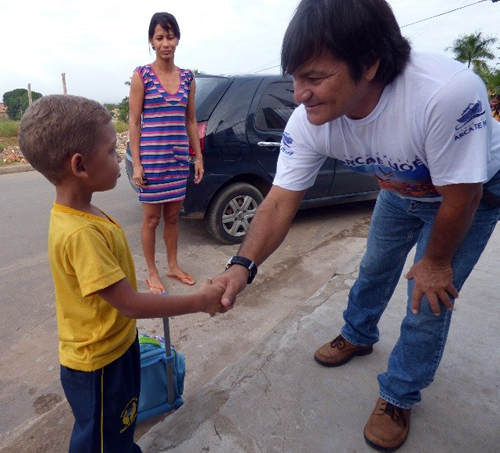 Pray for Brother Lapani as he uses friendship evangelism to reach hearts for Jesus. The work progresses in Senegal with volunteers from England. Greetings from Senegal! As the medical missionary work here grows and flourishes, and opportunities for sharing God’s love multiply, our hearts overflow with praise. Even amidst many challenges, God is always good. A little while ago I visited Ita, a young lady suffering from breast cancer. Although she is American born, and grew up Christian, she converted to Islam when she married her Muslim husband. Along with her physical pain, she also deals with much grief. Her mother passed away seven years ago, and shortly afterward her husband also died, leaving her with three young children and another on the way. Even in her sorrow, she faces her illness with courage. When I met her, she had already changed her diet and was eager for any help that we could give. She had tried a “mild treatment” of chemotherapy at the insistence of her in-laws, but when her hair started falling out, she refused to continue. The large sore on her chest permeated the house with an awful smell. We covered it with charcoal and honey poultices. We also gave her hydrotherapy and massage for her edematous arm. As the days went by, the odor gradually lessened. To our delight, in a few weeks, you could hardly notice it. When we started to work with Ita, her wound was very yellow, but now the tissue has a healthier, redder hue, and we can see small areas of new skin growth near the edges. When I visit her, I share with her about our heavenly Father’s great love for us, and we pray together. I have given her several Bible verses and Psalms, and she has accepted them gratefully. Please pray for Ita and her family. Rachel and Praise, two young ladies from England, have come to help us for a few months while they get some hands-on medical missionary training. We are grateful for the medical supplies they brought, and the Great Controversy books, which we have been sharing with our English-speaking friends. Another vacation camp with the village children is coming up. This time we are adding some health training for the older teens. Boys and girls will learn first aid. Girls will also learn how to make their own cloth menstrual pads. 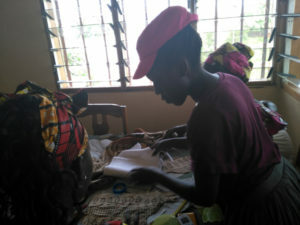 Most girls here can’t afford to buy disposable pads, and just use old pieces of cloth. This often leads to infection. We hope to alleviate this by teaching them to make and care for re-usable cloth pads. We are also grateful for the renovations that have begun on one of our buildings. We have had many problems with the fibro-cement roof tiles becoming brittle and leaking, so we decided to install a concrete slab roof with help from the team at http://bellroofcompany.com/roofing-redlands/. We hope to divide the building into two dormitory-style rooms – one for men and one for women. We also plan to have two bathrooms, a classroom, and a storage room. Unfortunately, our donor has had some unexpected financial difficulties, and we do not have enough funds to finish the project. The walls are up, and the reinforcement of the older building is finished, but the electrical wiring, plumbing, roof, stairs, windows, and doors remain. We hope to have the building operational by December, as we need the space for upcoming events. Aside from all this, we are also in need of a video projector. We appreciate your prayers, and are thankful for any help you can give us. May God continue to bless and keep us all as we work for Him. 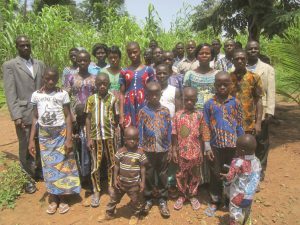 Sister Deborah and her family are missionaries in Dakar, Senegal. Deborah uses medical ministry, English tutoring, women’s ministry, children’s ministry and other simple methods to make friends to invite to Christ’s Kingdom. Pray. Even with the Lord’s blessings, Deborah’s family faces challenges in Senegal. Please continue to pray that the Lord will open the doors for their outreach center. Beaten and given alcohol to drink at three months of age, Ayane was in danger until she found grace and peace in a new home. How can this be so complicated?” I turned the small square of cloth over and over. I shook it, sighed, and threw up my hands. Just a few weeks ago I would never have dreamed that I would be wrestling to put a cloth diaper on a 17-month old baby. When we first heard about the tiny girl, we knew we could not ignore her plight. She lived in a village six hours away, and her mother had lost her mind. As a young girl, she had been horribly mistreated by her own parents. 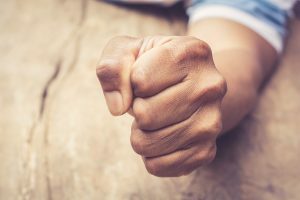 Her father punished her by holding her hands in the fire, causing her to lose one finger and severely deforming two others. Her mother beat her mercilessly and forced her to work in the fields. It was little wonder that she was incapable of caring for her own baby. 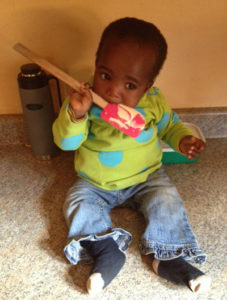 She stopped breastfeeding little Sina (which means “she does not have” in Swahili) when she was just three months old. Instead, she fed her whatever happened to be lying around – mostly alcohol. We heard that she even put a rope around the baby’s neck and carried her that way. She drenched her in cold water, and started beating her. The baby’s bibi (grandmother), an alcoholic herself, did nothing. Most of the villagers agreed that the baby was in danger, but no one intervened. 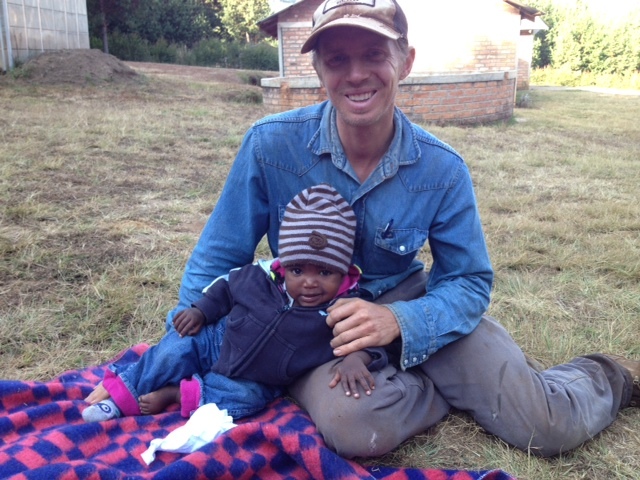 Amazed at the apathy of the villagers, my husband Elisha and I decided we would rescue the little girl ourselves and try to find a stable Tanzanian Christian family to raise her. We called the chief of the village for two days with no success. My worry multiplied and grew. What if we arrived too late? Peace filled my heart and I continued with my day. Not long after, Suzan, our sewing teacher, told me she had talked to the chief and that he would make arrangements with the bibi. The bibi gave away her granddaughter as if she were nothing more than a bag of dirty laundry. Nobody looked back to say goodbye, to kiss her forehead, or give her one last squeeze. Our friend Kori, who picked up the baby for us, almost cried. After only a week, Ayane started laughing and smiling. And boy could she eat! I blended rice and beans and enriched it with ground cashews, coconut cream, avocados, olive oil, etc. I watched with delight as her little legs fattened, her cheeks rounded, and her hair darkened to its original black. I must admit that I gave up on the cloth diapers. Our life is very different now. We have just as much work as before, and we worry about Ayane. She becomes more attached to us with each passing day, and we have not been able to find a suitable family for her. I do not know what will happen to her. But I do know that she is God’s little princess, and that He will help us as we seek to understand His will for her life. 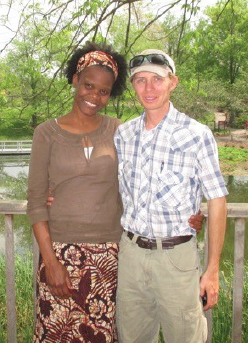 Nadege and her husband Elisha operate Eden Valley Foster Care Mission, a trade school for underprivileged youth in Tanzania. harvester2188@gmail.com; Box 17, Mafinga, Iringa, Tanzania. 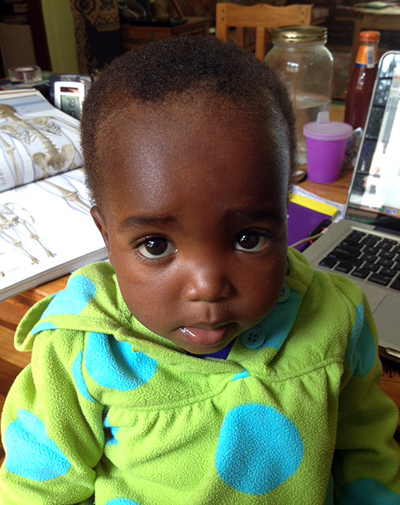 Pray for the Vande Voorts’ outreach in Tanzania and for Ayane’s future. www.outpostcenters.org/donate. Click on “Eden Valley Foster Care Mission” under the ministry tab. Missionary, principal, and father suffers medical setback and then healing! Jumping to my feet, I ran down the hall of Noah’s Ark Christian School to the small room at the end which was our home. I stared in horror at Aluisio, my husband, who lay limp in the hammock, vomit all over the floor. Dazed and confused, he could barely communicate to me. I could feel panic rising in my chest. He had been in perfect health just an hour ago. What was happening? I had to half-drag my dizzy, confused husband to the car. At the hospital, our nightmare worsened. Everyone who saw him had a different opinion. His blood pressure was slightly elevated, so they gave him medication to lower it. But he did not have the typical symptoms of a stroke or a heart attack, and after a few hours the nurses told us we could leave. Amazed, I flatly refused, as Aluisio could not even walk unassisted. My frustration grew in the morning when a doctor informed us that it was just a urinary infection, and he could go home. 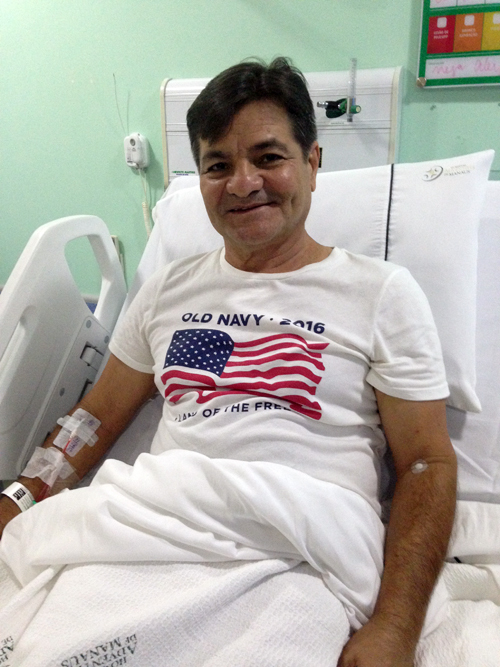 At the suggestion of a friend, I insisted that we be authorized to take Aluisio to the larger city of Manaus, to a hospital with a much better neurology department. The doctor begrudgingly wrote the authorization while the head nurse rolled her eyes. After a long drive through the rainforest, we arrived at the new hospital. They immediately tried to stabilize Aluisio with different medications. When we explained his symptoms to the doctor, they rushed him down the hall for an MRI. “But what about the numbness in his arm?” I reminded her. Her smile vanished, and she called for the neurosurgeon on duty to check the MRI. He discovered what she had missed – a large area of the cerebellum that had been burned by a stroke. With compassion in their voices they explained that with physical therapy he might make a partial recovery, but the prognosis was not good. My heart dropped. What if he never got better? What would happen to our small school where Aluisio was principal? Tears came to my eyes as I thought of how he loved to greet all the school children every morning with a big smile. He had been healthy and active. How could this happen to him? Prayers for Aluisio ascended from all over the world. He slept on and off through the night, and each time he woke, he seemed a little more coherent. A constant prayer rose from my own heart as I sat by his side. Aluisio’s brothers, who had been estranged from him for years, came to see him. It was beautiful to see them reconnecting, and to see Aluisio’s concern for their souls through his own pain and discomfort. In the morning, we moved to the Adventist hospital where Aluisio underwent many more tests. Our hopes soared when the neurologist gave us a new prognosis: with some physical therapy Aluisio should make a full recovery. From then on Aluisio’s healing progressed by leaps and bounds. The doctors marveled at the miracle in front of them. When I discovered that we did not even have to pay a cent in hospital bills, I thought my heart would burst with thankfulness. Now, three months later, Aluisio feels as good as new. 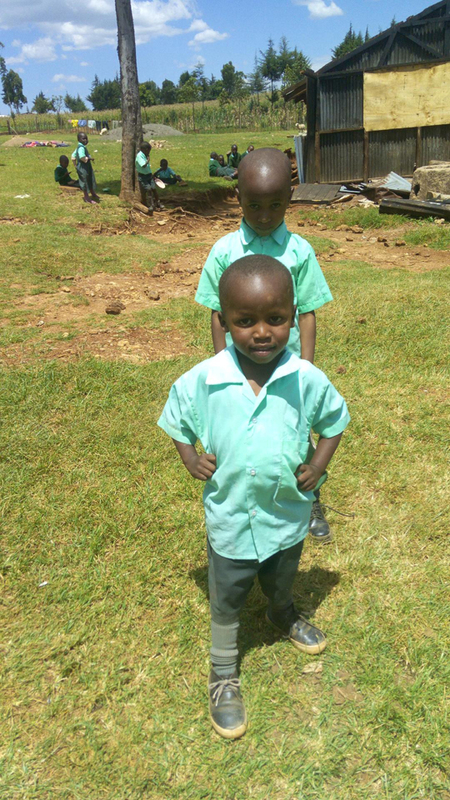 Soon he will return to work where all the children who prayed for him are eager to have their beloved principal home. Looking back, I am so thankful for God’s promise. Truly, “the effectual prayers of a righteous man [woman, child] availeth much” (James 5:16). 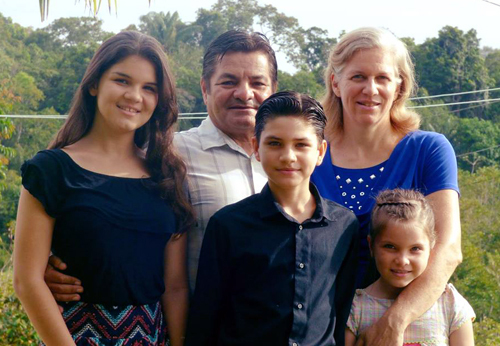 Sandy and her family operate Noah’s Ark Christian School in, Amazonas, Brazil. Pray for the students and staff of Noah’s Ark Christian School. The goal of the school is to educate young people in the Word of God. 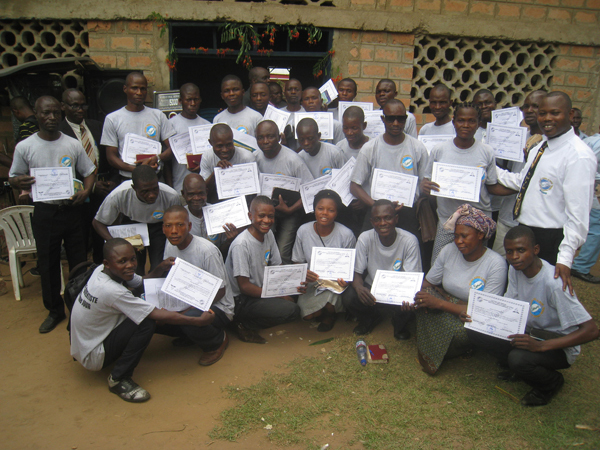 The staff conduct Bible studies with parents and they also perform local public evangelism. As in any work for God, prayers make a difference. From a small start in 2008, a school promoting true education has grown into a light to the community. It was the year 2007. I had just graduated from the University of Eastern Africa, Baraton. I had a wife, three young children, and an earnest desire to serve God. We had also just moved to a rural village, and we soon began to notice a great need in our new community – the need for Seventh-day Adventist education, not only for the village children, but for our own as well. “No work ever undertaken by man requires greater care and skill than the proper training and education of youth and children. There are no influences so potent as those which surround us in our early years…. The nature of man is threefold, and the training enjoined by Solomon comprehends the right development of the physical, intellectual, and moral powers. To perform this work aright, parents and teachers must themselves understand ‘the way the child should go.’ This embraces more than a knowledge of books or the learning of the schools. It comprehends the practice of temperance, brotherly kindness, and godliness; the discharge of our duty to ourselves, to our neighbors, to God…. “The will must be trained to obey the dictates of reason and conscience…. 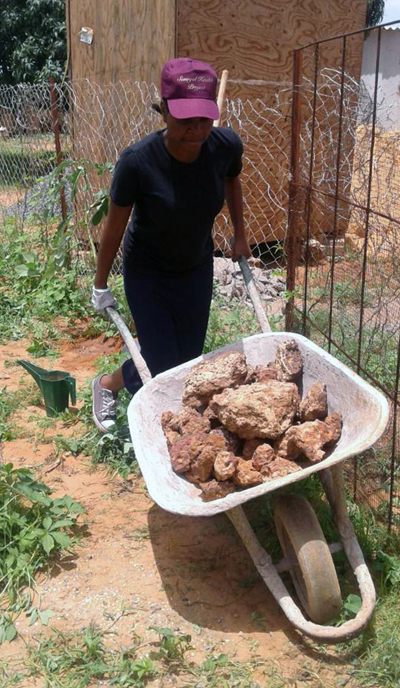 So far as possible, every child should be trained to self-reliance. By calling into exercise the various faculties, he will learn where he is strongest, and in what he is deficient. A wise instructor will give special attention to the development of the weaker traits, that the child may form a well-balanced, harmonious character.” Child Guidance, 39. Grasping hold of God’s promises, we stepped out in faith, and Kingsway Preparatory School was born in 2008 with one teacher, seven students, and many challenges on the horizon. The facilities were in such terrible condition that parents hesitated to enroll their children. Those who took the risk were poor, and we could not scrape together enough tuition money to meet the expenses of running a school. Finding transportation is still a challenge, and many children have to walk as far as two miles to get to school, in good weather and bad. Despite all the difficulties we have faced, today Kingsway is a shining light in our community. Our academic standards are high, and we are dedicated to meeting the spiritual needs of our students, staff, and the community. 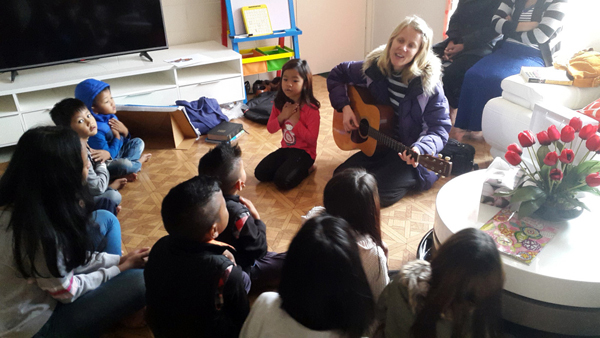 The children are involved in Bible studies, preaching, singing groups, Pathfinder clubs, and Sabbath School programs. We believe that this is the highest form of education that we can give our children and youth. “In all our churches there should be schools, and teachers in these schools who are missionaries. 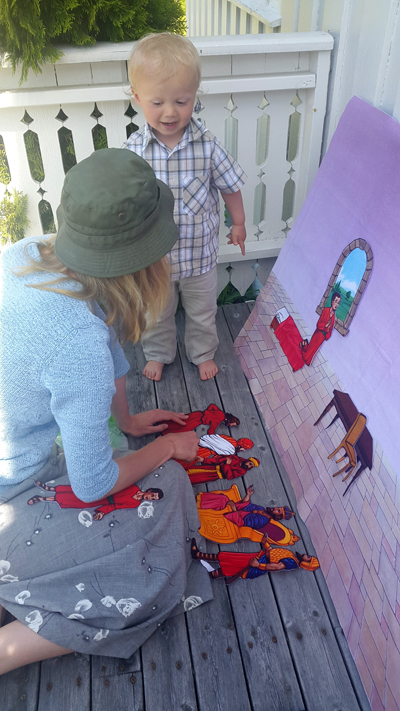 It is essential that teachers be trained to act well their part in the important work of educating the children of Sabbath keepers, not only in the sciences, but in the Scriptures. These schools, established in different localities and conducted by God-fearing men or women, as the case demands, should be built on the same principles as were the schools of the prophets” Child Guidance, 306. Over the years God has guided and provided, and we are overjoyed to see that, through our efforts and those of the precious children given into our care, the influence of Kingsway now extends far beyond our campus and deep into the surrounding communities. It is our prayer these children will inspire future generations to walk with God, and to share His love with those around them. Pastor Bett is an ordained Seventh-day Adventist minister. He is the president and founder of Kingsway Preparatory School. 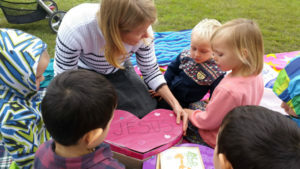 Pray for the young people who are attending the school at Kingsway school and for the teachers who are leading these young people to the Lord.